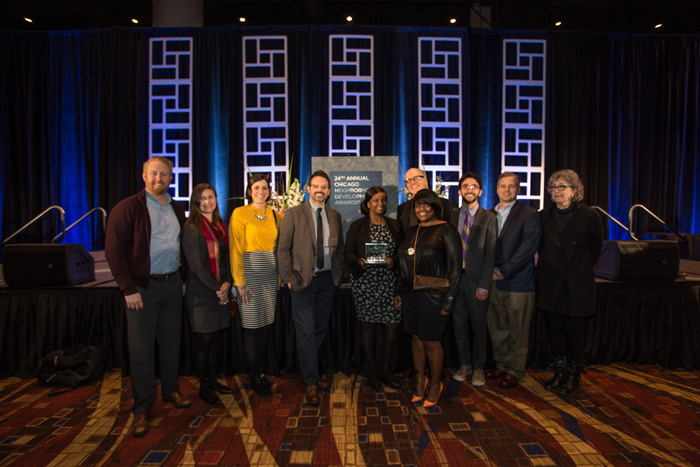 Yesterday, April 5th, 2018, LISC Chicago hosted the 24th Annual Chicago Neighborhood Development Awards (CNDA) honoring nine organizations for their contribution to community development and architectural design. We’re proud to announce that ChiCAT, a state-of-the-art school and community center in Chicago’s near west side, received The Second Place Richard H. Driehaus Foundation Award for Architectural Excellence in Community Design. A downloadable pdf of the program book is available here.